by Jose Luis Iriberri, SJ, Chris Lowney and others. Several pilgrims provide perspectives about their journeys in Spain as they walked from Loyola — where St. Ignatius experienced a deep conversion while convalescing — to Manresa — where he penned the first draft of his Spiritual Exercises. 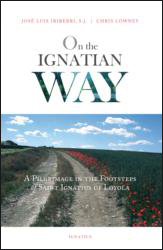 And the story of Ignatian spirituality is told in steps that will leave readers inspired as well as wondering how God might similarly invite them on very personal adventures with Christ. Pehanich is a Catholic freelance writer, blogger, spiritual director and former assistant editor for the Diocese of San Jose, California.